Four mountain rescue responses in the Western Cape over the long weekend. 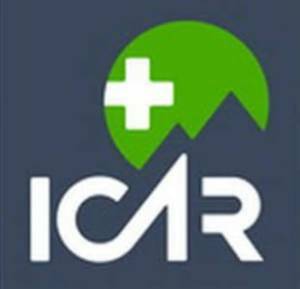 On Friday the 22nd of March 2019 at 11h39 the Winelands Wilderness Search And Rescue (WSAR) was activated after the race organisers of a mountain biking event called for assistance. One of their male competitors had taken fall at a steep section of the stage. He had sustained a leg injury while participating in the multi day endurance event. The Helicopter Emergency Medical Services (HEMS) had been dispatched earlier to extract the patient. There was a strong wind and after various attempts the HEMS had to withdraw from the rescue attempt. WSAR Rescue Mountaineers and Logistical support members were also dispatched, and they made their way to the mountain range above Sir Lowry’s Pass. Ground teams consisting of approved emergency service providers to the event had also been asked to respond, and they were able to successfully reach the patient via jeep tracks along the route. It was suspected that the patient had fractured his leg, and after it was immobilised, the competitor was safely extracted from the mountain. The WSAR team was then asked to stand down. An awaiting ambulance then transported the gentleman to a medical facility for further treatment. WSAR wishes him a speedy recovery. On Saturday the 23rd of March 2019 at 13h42 the Peninsula WSAR was activated when a caller requested assistance after a 30 year old local female member of a hiking party had injured her knee while hiking in the Platteklip Gorge trail in the Table Mountain National Park. The Helicopter Emergency Medical Services (HEMS), Rescue Mountaineers as well as Logistical support members were dispatched to the gorge in order to recover the patient from the mountain. On arrival, a Metro Medical Rescue Technician and a Rescue Climber were lowered to the patient from the helicopter. Once treated, the patient was hoisted out of the gorge and delivered to a temporary Landing Zone (LZ) on Tafelberg road. After no further assistance was required, the lady left via private transport. We wish her a speedy recovery. 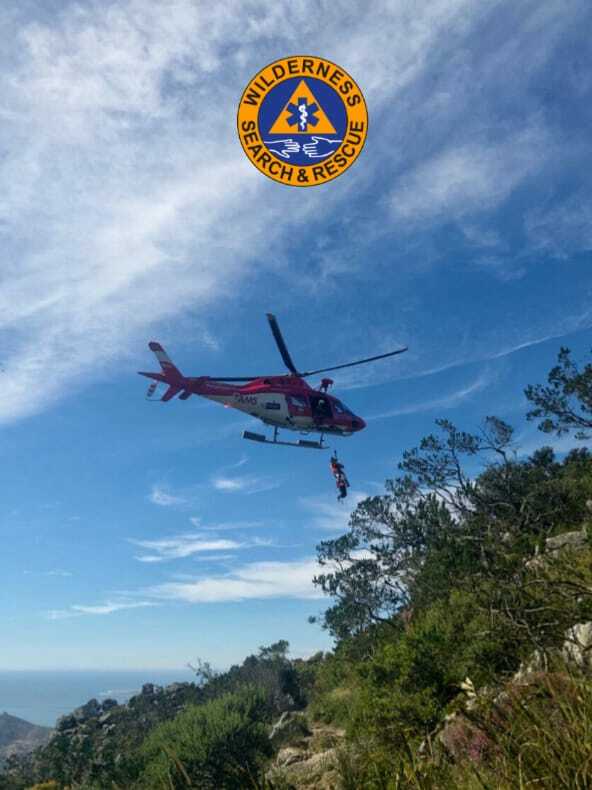 On Sunday the 24th of March 2019 at 08h30 the Helicopter Emergency Medical Services was dispatched to the Arangieskop Trail in Robertson in order to retrieve a teenage boy who had taken a fall while hiking down a gorge. On arrival, two Medical Rescue Technicians and a Rescue Climber were lowered to the patient. The boy had unfortunately succumbed to his injuries, and was declared deceased on the scene. After being hoisted into the helicopter, the body was delivered to a temporary LZ and handed to the Western Cape Forensic Pathology Services. We convey our sincere condolences to the family and friends of the deceased. On Sunday the 24th of March at 11h18 the Helicopter Emergency Services was activated when a call for assistance was received. The caller had reported that one of the members of a hiking party had injured himself while enjoying a section of the Rock Hopper Trail in the Witte Rivier which runs below the Bainskloof mountain pass in the Limietberg. On arrival, a Metro Medical Rescue Technician and a Rescue Climber were lowered down to the river bed from the helicopter. A male patient was found to have sustained a fractured leg as well as injuries to his wrist. After being packaged, he was hoisted out and delivered to a temporary LZ at Eerste Tol by the helicopter. He was then transferred to an awaiting ambulance which transported him to a medical facility for further attention. We wish the gentleman a speedy recovery. The Air Mercy Service (AMS) is contracted by the Western Cape Department of Health to provide Helicopter Emergency Medical Services (HEMS). Michael Wilcox2019-03-25T15:10:53+02:00March 25th, 2019|AMS, Boland Mountains, Cape Nature, Hiking, Metro Rescue, Mountain biking, Rescues, Search, Table Mountain National Park, Winelands|Comments Off on Four mountain rescue responses in the Western Cape over the long weekend.